Temple Grandin, Ph.D., is a gifted animal scientist who has designed one third of all the livestock-handling facilities in the United States. 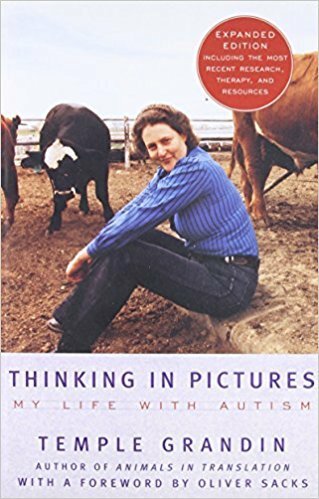 She also lectures widely on autism—because Temple Grandin is autistic, a woman who thinks, feels, and experiences the world in ways that are incomprehensible to the rest of us. In this unprecedented book, Grandin delivers a report from the country of autism. Writing from the dual perspectives of a scientist and an autistic person, she tells us how that country is experienced by its inhabitants and how she managed to breach its boundaries to function in the outside world. What emerges in Thinking in Pictures is the document of an extraordinary human being, one who, in gracefully and lucidly bridging the gulf between her condition and our own, sheds light on the riddle of our common identity.